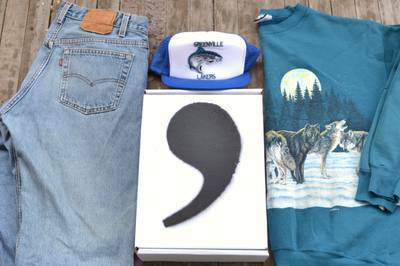 Enter your email address below to receive a notification when Comma Vintage starts accepting new sign-ups! Enter your email address below to receive a notification when Comma Vintage is accepting new sign-ups again. Take $10 off your order with code "TAKEPAUSE"
We ship 2 to 3 weeks after the subscription is paid. This gives us time to find the perfect item, as we may not yet have it in our inventory. The sizing & preferences survey is emailed after payment. Gift recipients will receive the survey only if their email address is entered. 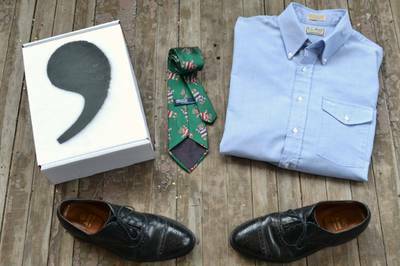 Vintage Menswear Curated for You. 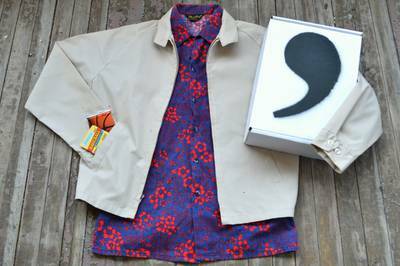 Comma delivers curated boxes of vintage menswear alongside one of-a-kind accessories. 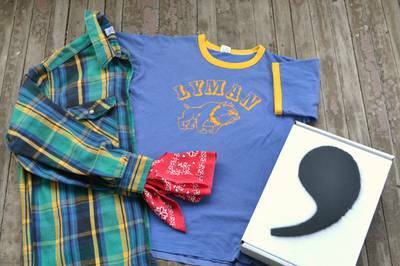 We specialize in quality American-made clothing from legendary brands, including Levi's, Pendleton, L. L. Bean, Nike, Champion, and more. Mike is the man! I have absolutely loved both my boxes. Can't wait for my next one! Each box lines up with my style and interests perfectly. I love the clothes! (vintage and well made and fit well) and the random trinkets. I've received some old baseball card packages, comic books, a bowtie, shoelaces and much more. One the coolest parts is the handwritten letter from Mike himself - it's personal and super cool. Get this box! Best gift I've ever given. What can I say? This guy gets it. I got my brother a subscription for Christmas this year, and he was not only so excited about the concept of this gift, but was completely blown away when he received his first box. Everything was perfectly in line with his style, fit to a T, and was everything he could have hoped for! 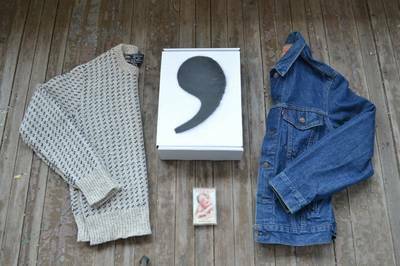 I have also had the added pleasure of visiting the new Comma, Vintage headquarters and getting to shop a little there, and my husband walked away with two beautiful new coats, one with the tags still on it! Looking forward to hearing my brother rave about his next box!